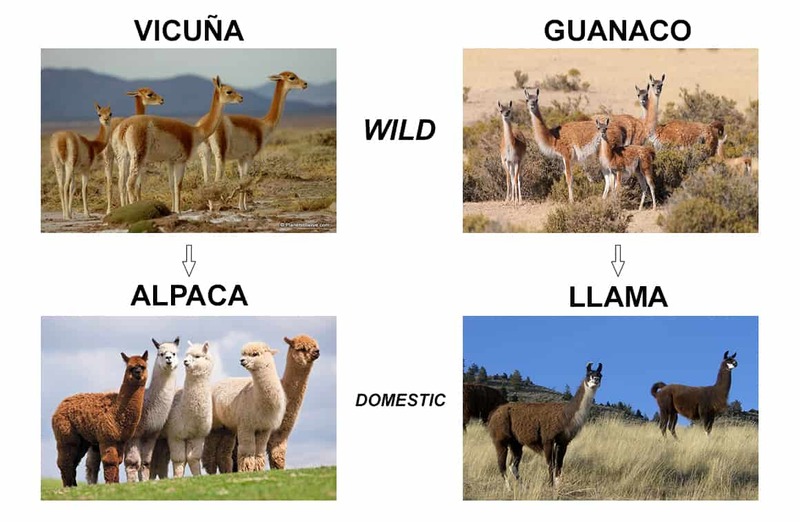 Llamas, Alpacas, Vicunas: What’s the Difference? Let’s talk about camels. 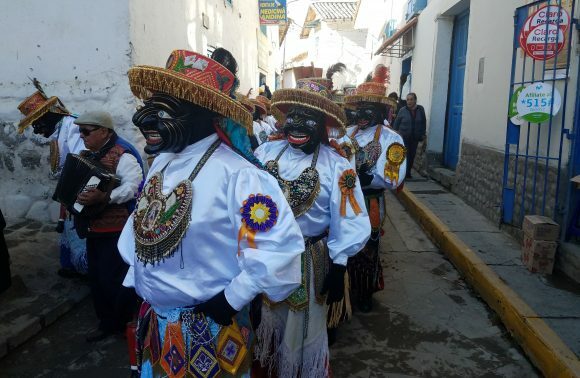 Not the ones with humps on their backs, but their Peruvian cousins. You’ve probably heard of llamas and alpacas, domesticated versions of vicuñas (vi-koo-nyas) and guanacos (gwa-nah-kos) throughout Peru. 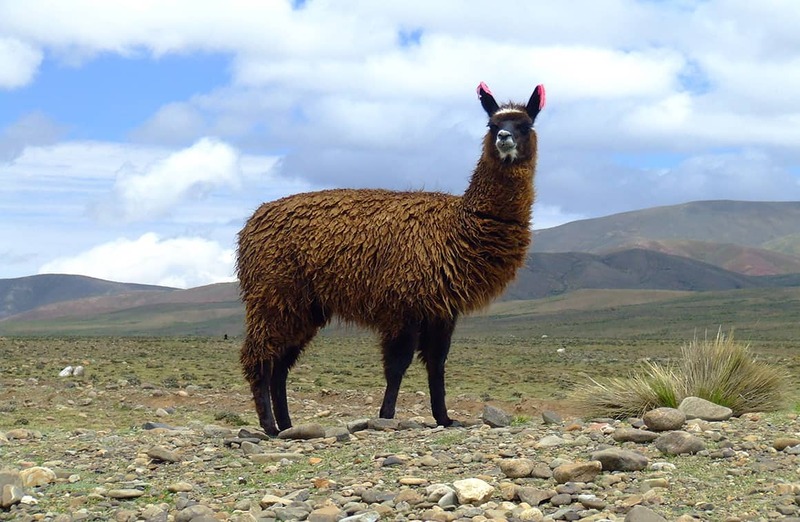 These Andean animals are all known by the family name, Camelid – which also includes camels. 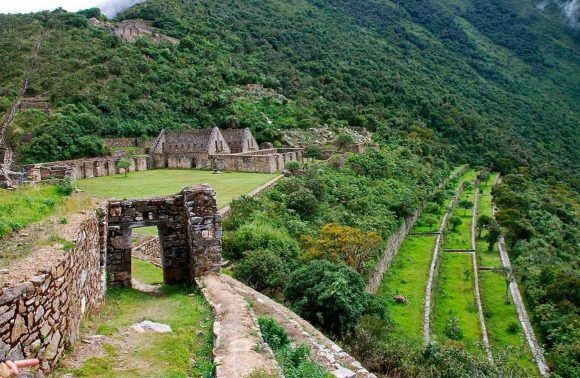 They are additionally an integral part of Peruvian culture, which is why Peru is the best place to see them. However, can you tell them apart? Llamas, Alpacas, Vicunas. What’s the difference? Widely used as a pack animal by those living in the Andean countryside. Their wool is not as refined alpaca fleece and their heads aren’t quite as furry. Llamas are more independent and typically less jumpy than their smaller cousins. Because they tend to be more aggressive, they are sometimes used as guard animals for alpacas, sheep, and other livestock. Two ways to tell a llama apart from an alpaca are their banana-shaped ears and larger bodies, weighing up to 400 lbs. For more than 5,000 years alpacas have been bred for their wool, renowned for its quality and softness. They have also been bred for their meat, so alpaca-based dishes can be found throughout Peru. 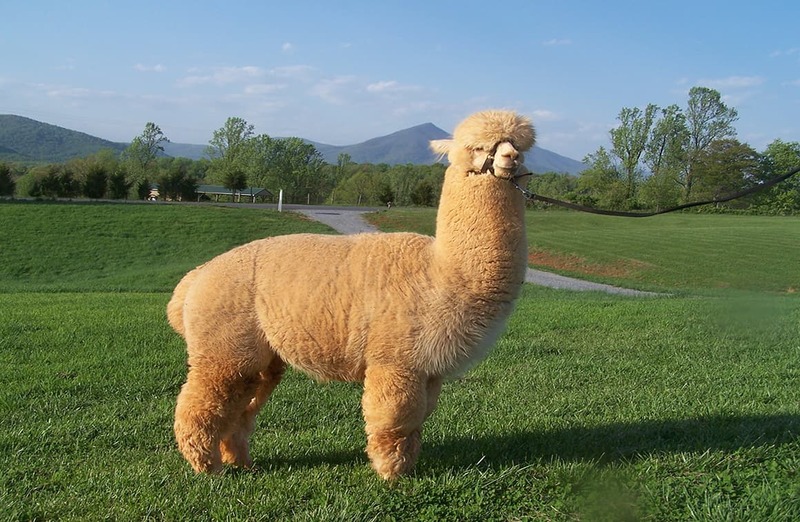 Unlike llamas, alpacas are herd animals and are therefore comfortable in communities. Their short ears, flatter snouts and smaller frames distinguish them from llamas. Vicuñas are the national animal of Peru and appear on the Peruvian coat-of-arms. They can also be found throughout Argentina, Chile, and Bolivia – where their population is highest. Their wool is extremely fine and expensive, owing to the fact they can only be shorn once every three years. 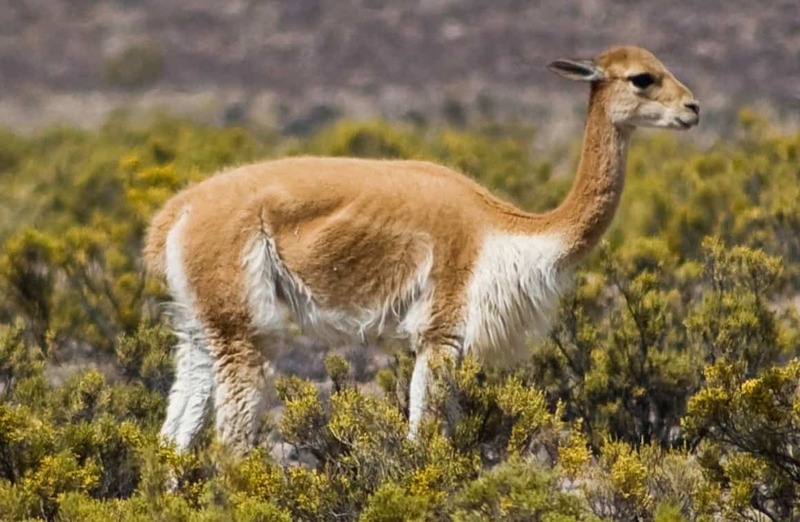 Only royalty are permitted to wear clothes made of vicuña wool. 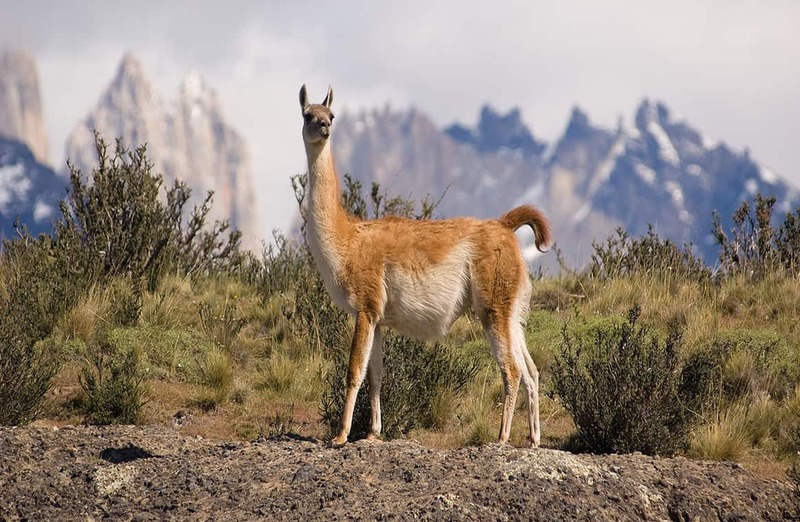 Guanacos are found in the same countries as vicuñas, however, are most prevalent in Chile and Argentina – in which there resides around 500,000. These animals also are more athletic than their cousins – being excellent swimmers and being able to run at 56 km/h! Interestingly, they form two distinct types of herds: reproductive herds consisting of no more than 10 adults, and bachelor herds consisting of up to 50 males. To protect themselves from attacks in wild, guanacos have thick skin at the neck – often used to make soles of shoes (especially in Bolivia). Now you know about Camelids! Llamas and alpacas are incredibly dignified, elegant, and graceful. The fleece of the alpaca is most delicate and can be found in many forms in Peru – scarves, sweaters, jackets, and even socks! It is not itchy as sheep wool is very soft and warm. Of course, it is meant to keep alpacas warm in the high altitude regions of the Andes. 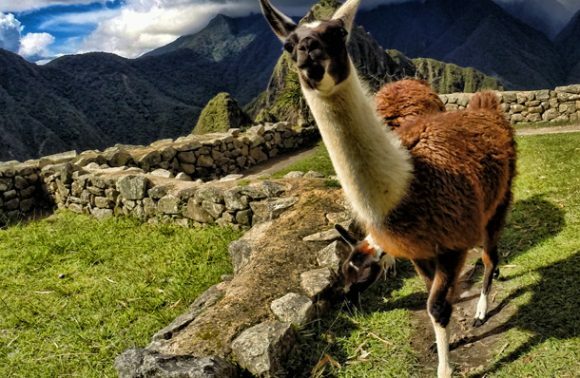 If you are interested in seeing these creatures, then head to the Cusco region and the central Andes, where they walk amongst the countryside and towns. 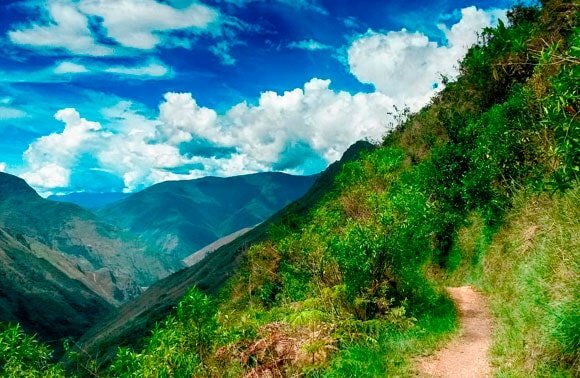 With our Andes Tours, you will find the right tour that suits you interests. Do not hesitate to contact us to learn more about our unique tours.